The CTS Graphic Design and Production department is another creative hub, working with our clients to bring their marketing strategy to life on the tradeshow floor. The graphic design department is Mac-based, using the most current design software available. For client convenience, and to facilitate rapid transfer of graphic proofs, CTS maintains an internet-based FTP site, on which each client is assigned a username and password. This permits protected, rapid communication of incoming files from the client or layouts and concepts from graphic design for the client to visually approve. CTS can store and retrieve information on CD-ROM, DVD, 100M and 250M Zip, 3.5” floppy disks, 1G and 2G jazz disks, 44M and 88M SyQuest drives. Graphic production capabilities include: large format digital output from 300 dpi to 1,200 dpi – up to 60 inches wide in both reflective and back-lit formats; mounting and laminating up to 52 inches wide using 3mil, 5mil, and 10mil laminate; high-resolution drum scanning of film negatives and positives up to 4,000 dpi; cut vinyl lettering up to 30 inches wide at 1/16 inch thickness; and silk-screening. 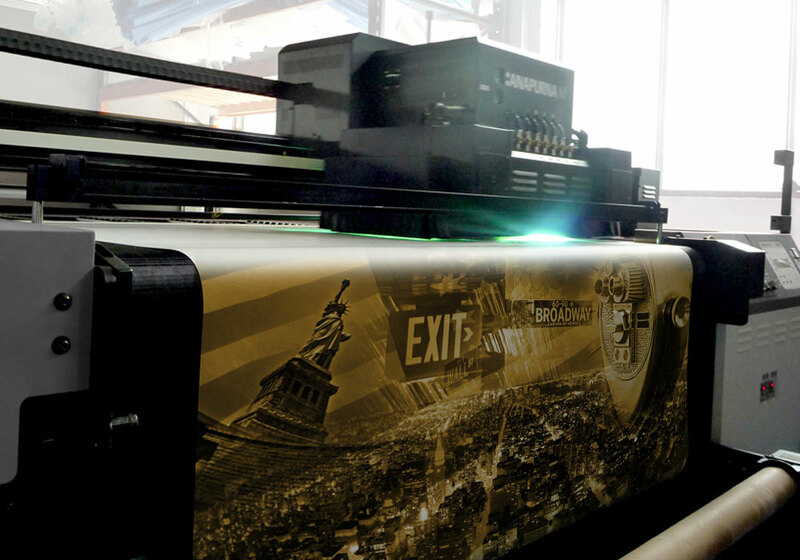 Production equipment includes HP 2000, 3000, and 5000 digital printers, Orca 1 Protec Hot/Cold Laminator, Trax vinyl cutter, Autologic Drum Scanner, and HP ScanJet 4100C Flatbed Scanner.